1. A team of Canadian researchers found that playing music to preemies reduced their pain levels and encouraged better feeding habits, which in turn helped with weight-gain. This is now common practice in many NICU’s. 2. Listening to and playing music increases the body’s production of the antibody immunoglobulin A and cells that attack invading viruses and boost the immune system’s effectiveness. 3. 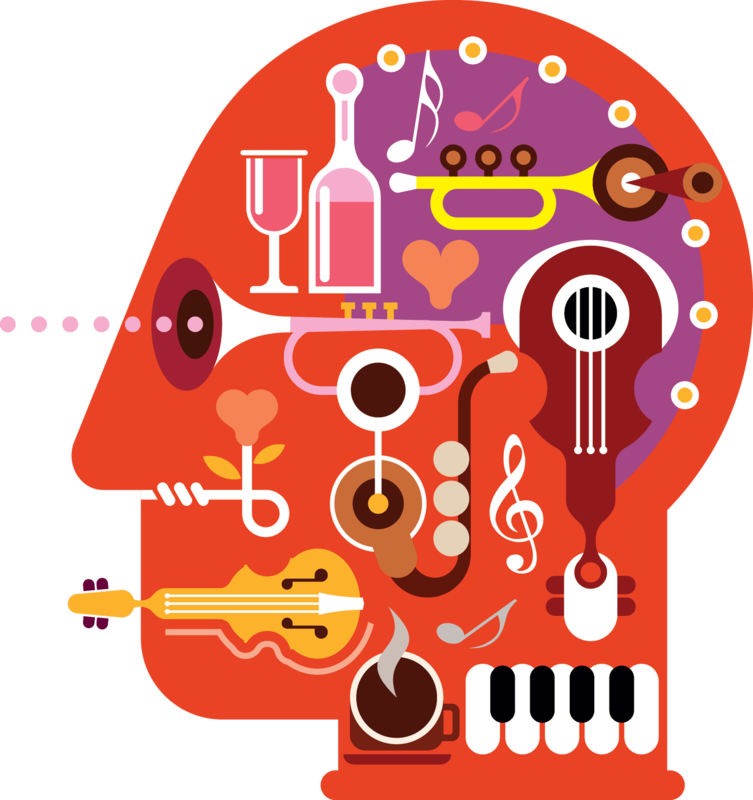 Doctors are currently working to develop “dosable” and “prescribable” music therapy and music as medicine protocols that serve specific neurologic functions and attend to deficits that result from many neurologically based conditions. 5. When given a rhythm to walk or dance to, the beat serves as a footstep cue for the brain, allowing people with neurological damage caused by stroke or Parkinson’s disease to often regain a symmetrical stride and a sense of balance. 6. Lifelong musicians process sound better than non-musicians. A 70-year-old musician understands speech in a noisy environment as well as a 50-year-old non-musician. 7. Kids with regular music education score significantly higher, especially on vocabulary tests. 9. Fancy venues often play music that young folks don’t like to discourage loitering because music impacts teenagers’ attitudes and behavior. When the brain hears something it dislikes, it suppresses dopamine, (the pleasure chemical) and as teenagers’ moods fall, they go elsewhere to find something to bring it back up. 10. Shops often play background music to encourage spending in their stores. Classical music produces a higher level of sales than top 40 music, no matter the age of the customer. The interesting twist is that no more items were sold but instead, the customers opted for more expensive items when listening to classical music.